Job vacancies with Bright Care at Home Ltd. Bright Care at Home Ltd. 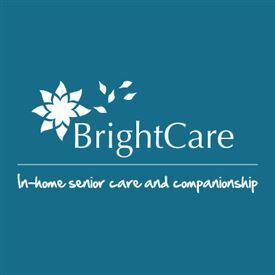 Bright Care is an award-winning, family-run business, established in 2009 to provide fully managed in-home senior care and companionship services throughout Scotland for private families and individuals. We find our satisfaction through seeing our clients and their families enjoy the benefits of a positive care experience. We now have more than 190 staff working across 5 locations near you in Scotland. We provide a range of elderly home care services to self-funded seniors who need extra care, companionship and assistance in their own homes and who prefer not to engage with local authority care. Our in-home care and companionship service provides an alternative to a nursing home allowing clients to remain in the comfort of their own homes. At the same time, your loved ones can have peace of mind knowing that you are being well looked after by professionally trained, supported and registered care staff. Bright Care’s success is built on people who share a commitment to deliver a service that is not just great, but truly exceptional! This is why we seek to work with like-minded individuals who understand that each person’s contribution, irrespective of their role or competency, is crucial in accomplishing our collective goal. At Bright Care we value and invest in our employees by providing ongoing professional training and support at all levels, and by offering great opportunities for career development. We also truly care about our employees’ emotional well-being and happiness: we thrive on a culture of integrity, honesty, clear communication, and team cohesion. We believe that a positive attitude is the key to successful outcomes. We believe that motivation for both personal and professional growth, drives people forward, and we share and support each employee’s desire to achieve fantastic results in life and to be the best they can be! We provide dedicated Leadership to guide and empower a loyal team to deliver an outstanding performance! Jobs with Bright Care at Home Ltd. There are no jobs with Bright Care at Home Ltd. at the moment. Sign up to email alerts below to get notified when new jobs are added. Get the latest jobs from Bright Care at Home Ltd. sent direct to your inbox!